My treatment plans are designed to get your symptoms to calm down as quickly as possible, and to keep them from coming back. New patients see results quickly, which then motivates them to complete their prescribed plan. This is where the magic happens, as folks who put in the work in the early stages of treatment get the most long lasting benefit. The treatment style I’ve developed and the setup I have at the clinic saves time and money in the long run. My patients often ask great questions about treatment frequency during their first visit or after wanting back in after some time off, so I decided to condense my thoughts on the matter for easy reference. There’s a couple of things to remember when it comes to the frequency of your Acupuncture visits if you want to get the most out of them. 1) You can never have Acupuncture treatments too close together, but you can definitely have them too far apart. Treatments work cumulatively and we want to continue building on the progress you make in your initial visit or follow up. If you get treated and your symptoms slowly start to creep back in before your next scheduled appointment then you have most likely gone too far between visits. If you don’t come in often then we’ll be stuck in a back and forth of your symptoms improving, getting worse, improving, getting worse etc. In the long run this is expensive not just in terms of time and money but also in your quality of life. I don’t want this, and you don’t want this. We want your symptoms to improve, improve, improve and then… improve some more! 2) To accomplish this I need to see folks twice a week for the first 1-4 weeks depending on the duration and intensity of your main complaint. After that, as long as your symptoms are improving and staying that way between visits, then we’ll back you off to once per week. My treatment style often gets folks into this weekly phase much quicker than originally suggested. This is a good thing and I’m always up front and honest with telling patients when they don’t need to be seen as often. It costs the clinic some money in the short term, but It’s helped our reputation tremendously in the long term. At this point as long as symptoms continue to stay stable then we’ll keep treating you once per week. If they start to creep up during the week I want you to make an appointment online ASAP so we don’t lose all of our progress we’ve made. 3) Once your symptoms are not flaring up with weekly visits, or are completely gone, we’ll slide you right into “tune up” mode. This is where I have folks come in every 2-4 weeks to check in with me and get a follow up treatment to keep things improving and maintain our results. This is the frequency that that majority of our patients graduate to, and it takes them very little money or time commitment to receive great benefits to their overall quality of life. 4) Certain scenarios like an acute injury may require more frequent/shorter treatment plans, while others like fertility/obgyn issues are generally a longer and less frequent approach. Some folks just aren’t able to come in as often as suggested. In this case it is always better to come in less frequently, we just need to lower our expectations at how quickly we re-assess your progress. A follow up visit once per quarter is better than every 6 months etc. These guidelines are a great start for the majority of folks and as always reach out with any questions! I’ve updated the scheduling/pricing policy. I decided to utilize a flat fee as of April 2018, which is a change from the sliding scale model that was used early on. I just wanted to explain how the current pricing and scheduling system was settled upon for anyone that’s interested. In April of 2018 I implemented a flat rate of $55 per treatment. Prior to that I offered sliding scale payments based upon how many times per week someone was getting treated. Under the sliding scale system Acupuncture was more expensive when coming once a week (top of the scale) and would get progressively less expensive the more times you came in (bottom of the scale). The remaining patients who were using the scale may not have intitally noticed the updated prices in the lobby, or the changes on the website reflecting the adjustment. I have been happy to allow anyone who started under the sliding scale model to continue to use it for the Spring and Summer as they complete their already prescribed treatment plans. My original intention was to wrap up all courses of treatment, re-asess and begin a flat fee for ALL existing patients on Oct 1, 2018. I’ve had many one on one conversations over the last few months getting everyone on board and up to date. As Summer wraps up, and I prepare for the busy season of Fall, I realize that some people may not have visited the clinic in quite some time or are still unaware of the change. For that reason I’ve extended this deadline by three months until the end of the year. What this means is that any remaining patients that started under the sliding scale policy, who also need to wrap up treatment plans, may continue to use it for the remainder of 2018. As of January 1, 2019 the shop is no longer taking any sliding scale payments, and all visits will be a flat rate of $55. The transition will allow me to have everyone be on the same page going forward. Under the sliding scale I often took 6 or more patients per hour which led to me having to enforce strict treatment times and wake folks up from their session sooner than I would like. In the few months since these changes I’ve consistently noticed improved clinical success within fewer total treatments. The new flat fee let’s me plan my treatment week much easier. It also allows me to pace myself for longer work days, and to take better care of the folks that come to see me. Adjunctive techniques like cupping, motor point therapy and e-stim can be implemented when needed, as I have more time available with each person. Please feel free to reach out to me personally if you have any questions regarding the change. It's almost spring, and like most of you I'm more than ready for it to arrive. From a Chinese Medicine perspective this time of year is thought of as the transition from ultimate rest (winter) to ultimate activity (summer), and it can be a tricky season to navigate in regards to our health and sense of well being. As we leave our hibernating ways behind, our energy is literally and figuratively moving up and out, like the plants in the ground that have been covered in snow. For that reason there are a lot of issues that show up at the exterior and top of the body during this time of year. During every spring season I expect to treat a lot of patients with muscle spasms/pulls (especially shoulders and neck), pain that seems to radiate and move throughout the body, itchy skin, dry eyes, dry throat, a feeling of a "lump" in the throat or chest, inability to swallow or draw a breath into their belly, stuffy + runny nose, headaches, vertigo/dizziness, and ringing in the ears. Many folks will also notice they are waking frequently (more likely between 11-3 am). The good news is that these symptoms can be successfully treated with Acupuncture. Spring is a good time of year for you or someone you know who suffers from the above to book a "tune up" visit to the clinic. There are also 2 simple lifestyle changes to implement that will make your transition from winter to spring that much easier. 1) First cut down on the comfort foods we tend to crave all winter long. They leave you inflamed, constipated and take a lot of energy to digest, which is the exact opposite of what you want when spring finally comes. Include lots of ginger, garlic, cayenne, peppermint etc into your cooking. These foods all aid digestion and even promote sweating, making them highly effective at combating that sluggish, heavy feeling that accompanies the post winter thaw. 2) Get moving. The winter cold and associated stress makes our bodies tight and achy. Get your circulation going any way you can, stretching, walking, hiking.Start a gym membership, get a massage or a chiropractic adjustment (we know all 3 if you need a referral...) We're also rolling out cupping and gua sha here at the shop tin the next few weeks, both of which are phenomenal for resolving tension and tightness in the body. Look for a follow up blog post on the benefits and for stand alone soft tissue appointments to be added our online scheduler and in the coming weeks. Remember that a rolling stone gathers no moss, and a body in motion stays in motion! See you chair side. Community or Private Room Acupuncture? Many people may not realize that there are different ways to operate an Acupuncture Clinic. The two most common setups are generally referred to as Community Acupuncture or Private Room Acupuncture. Some people are aware that there are different types, but still have some confusion over what exactly the difference is between Community Acupuncture and Private Room Acupuncture. Let's call these shop's CA (Community) and PA (Private) for short. I've worked in both a PA and CA clinic and enjoyed my time in each setting. Both types of Acupuncture have a lot of similarities along with a few minor differences, as well as perceived pros and cons. Even within the subsets of CA and PA there are many different ways to administer Acupuncture treatments and provide care to patients. My description that follows is a very general outline of the two schools of thought, and is based upon my personal experience working in both. I want to give you a little peek at how we do things here at The Acupuncture Clinic of Bedford and what similarities we share with each. My hope is that you learn the basics of how each type of clinic operates and with that information you're able find an Acupuncturist that resonates with you. The nuts and bolts for PA clinics is that people are treated one on one, very similar to how a local Family Physician would treat someone here in New Hampshire. The treatment is generally performed in a small room, with just the Acupuncturist and patient present. Sometimes folks are asked to change into a hospital gown for ease of access, sometimes not. The person tells the Acupuncturist their main complaint, and they lay down on a table. They will generally receive acupuncture points on the front or back side of their body and may be left alone to rest by themselves. After a period of time has passed (20-30 mins) the Acupuncturist may come back in and remove the needles. At this point the person would be asked to flip over so another series of points can be treated on the opposite side of their body. They would again rest for another 20-30 mins. 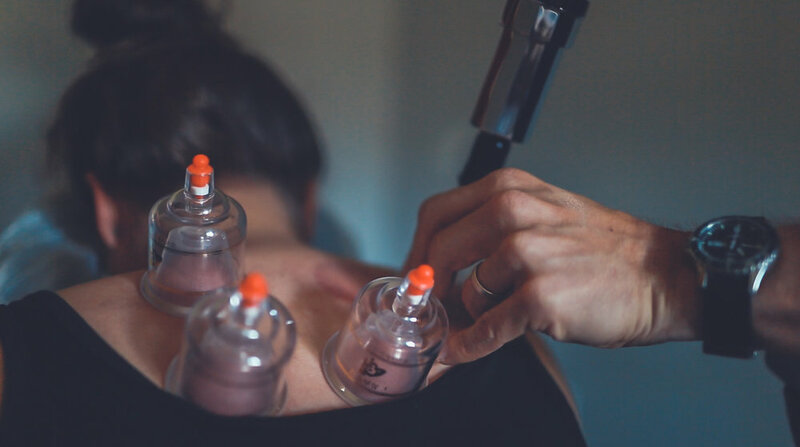 Extra therapies like trigger/motor point therapy, cupping, e stim, or heat are often applied before during and after, sometimes at an additional cost or even scheduled as a separate appointment. Treatments are usually expected to take 1 hour, and generally the cost is $70-$150 per session depending upon the office. Besides the obvious benefits of treatment the upside to this model is that patients get a lot of individual attention, and there is a great amount of privacy. The Acupuncturist also has access to areas of the body that may be difficult to treat in anything but a PA setting. The sometimes argued "downside" is that the acupuncture session takes a large chunk of time from the day, and for some the cost can prohibit them from receiving the amount of treatment they want or need. These are not necessarily true and can be a POSITIVE, especially for people who look forward to a break during their day, or who's salary or insurance easily covers the cost of treatment. The day to day of many CA clinics involves patients being seen in a large communal space with reclining chairs or even mats on the floor. Appointments can be booked every few minutes to allow the clinic to see a high volume of patients and thereby have a relatively large turnover of people within 30-60 minutes. Many CA clinics treat distal points on the hands and feet, arms and legs. Most allow people to stay as long as they would like, or until a chair is needed. Costs are divided amongst many patients per hour so the overhead isn't passed on to just a few folks, and often times a sliding scale is used for payment. Acupuncturists working in these clinics also get an immense number of treatments under their belt after just a few years, and they quickly gain a lot of clinical proficiency and experience but not necessarily more than a PA clinician would have. The sometimes argued "downside" is that there may not be very much time for each patient and treatment points can be somewhat limited. This hasn't been my experience but could in fact a POSITIVE, as Acupuncture doesn't have to be complex or take a lot of time to administer in order to be effective. Consistent treatment over time yields the best results and this is where CA and PA both really shine. I have dear friends and colleagues that have practices of each type and some in between, and they all have the right set up for them and their patients. No matter how it's delivered, Acupuncture works, plain and simple. You may ask "Is The Acupuncture Clinic of Bedford CA or PA?" Well, we intentionally treat a bit lower volume than some CA clinics, but a much higher volume than your traditional private practice. We use distal points for a lot of our treatments, but also love adjunctive therapies like cupping and e-stim as well as treating local trigger points and motor points should the need arise. Our treatments are delivered in a group setting that is also kept very private and confidential for each patient, with no time limits. We believe strongly that Acupuncture should be simple, convenient and effective, and our particular set up affords us the opportunity to make that a reality. Call us whatever you like, but we think "The Acupuncture Clinic" is the best fit. Serving Manchester, Bedford, Amherst, Nashua, Merrimack, New Boston We are, Hooksett and all of southern New Hampshire. Many people seek out Acupuncture for day to day aches and pains, acute ailments and chronic health issues. It doesn’t matter if someone is a professional, amateur or hobbyist athlete, Acupuncture can help improve many areas that are of concern when it comes athletic performance. In this post I want to touch base on three benefits that those looking for increased gym performance can expect to receive from treatment, as well as the main reasons why competitive athletes become some of the most consistent Acupuncture patients. Why should all competitive athletes initially seek Acupuncture treatment? 1) Improved Digestion: You provide your body with the best fuel possible, and the processing and assimilation of your food is essential to peak performance. Acupuncture has successfully treated many digestive issues including Bloating, GERD, IBS, Crohns, Constipation and Nausea; just to name a few. In short: better digestion equals more energy and better intensity in the gym and on the field/track. 2) Nervous System Recovery: Training provides a great stimulus and with the right dose our body can acclimate by repairing and adapting to whatever we throw at it. It’s not how much work we can do that matters, , esit’s how much we can recover from. Training, stressors from home, traffic, work, poor sleep, illness etc all activate the body’s sympathetic nervous system or “Fight or Flight” response. We need an equal amount of parasympathetic or “Rest and Digest” activation to maintain a balance. Without this balance something eventually has to give, and typically an illness or injury will put the brakes on us if we don’t do it first. Acupuncture along with meditation, mobility work, yoga, and sleep are all tools that bring the recovery equation into better balance. 3) Soft tissue injury: Athletes of all levels, and especially those who compete, ask a lot of their bodies and demand a high level of performance. Many sports and physical activities require that folks have to work on all aspects of their fitness. Acupuncture treatments, which may including cupping, improve circulation, reduce swelling, and increase mobility. Along with Yoga, stretching, and soft tissue work; Acupuncture is a great tool to have in your toolbox. Why do competitive athletes continue Acupuncture long term? 1) Treatments are scalable and goal oriented: At my shop I give everyone a treatment plan at your first visit. Most conditions respond to 4-12 total treatments over 4-6 weeks. Once an issue calms down it takes much less frequent visits of 1-2x per month (often less) to maintain those results. For folks who are used to attacking a fitness goal, this is a very familiar process. Resolving the main complaint(s) is the goal. The treatment plan is your roadmap to achieve it. Treatments and treatment plans can be scaled up or down based on the athlete’s outside responsibilities and stressors, just like any sensible programming should be. Familiarity with this process is the competitive athlete’s best friend here. 3) Sense of Community- Like many other Acupuncture offices, the idea at my shop is to build a community around the clinic itself instead of marketing Acupuncture to the community. There’s also power in numbers, and a sense of family associated with people who come to The Acupuncture Clinic of Bedford. Many consider me to be part of their team, and I consider them to be part of mine. Sound familiar to anyone? who’s ever competed in or played their sport of choice? New Hampshire has hundreds of licensed practitioners. Many of our patients come from Manchester, Goffstown, New Boston, Hooksett, Bedford, Amherst, Nashua and the surrounding towns. We’re conveniently located in Bedford NH, come on by and say hello or drop us a line if you're wondering how Acupuncture can help. I’ll be happy to take care of you here in the shop, or if you’re a bit farther away I can get you linked up with someone who can. It's Sports Med Monday everybody (well, now it is since I just invented that). Whether you're an athlete or not you've been given a body with muscles + the ability to move around. What most people refer to as their "shoulders" is actually a muscle in their back called the "trapezius" or "traps" for short. Sometimes through chronic stress or injury our muscles don't function the way they should, and movement is impaired. If left untreated, many seemingly unrelated symptoms begin to show up. Trap dysfunction can lead to all kinds of symptoms including but not limited to: dizziness, tmj , tension headache, shoulder pain, mid back pain, neck pain, as well as limited range of motion in the shoulders and neck. Acupuncture can be a very useful tool if you or a loved one has any symptoms on that list. If you live in Manchester NH, New Boston, Bedford, Amherst, Goffstown, Hooksett or any of the surrounding communities come on by or set up your next appointment on line. The alarm goes off. Eyes heavy, brain foggy, you muster the will to find the button to silence it before sitting up in bed. You exhale while trying to summon the energy to start your day. Knowing it's a rhetorical question you still ask yourself silently "Why did I stay up so late?". We've all done this. Or a form of it. We make decisions based on the present instead of the future. We often put off things we should be doing, knowing full well we will have to pay the consequences further down the line. Its easier to eat something fast on the run than to sit down and cook a home made meal. It's much more comfortable to sit on the couch and watch TV than it is to exercise. Allowing yourself to react emotionally to a situation is much more difficult than being measured in your response. Our seemingly small daily choices have a profound effect on how we interface with the world. -Would you like to blow up at your loved ones? Sure go ahead! They may be angry at you tomorrow or less likely to come to you with their problems but man it will feel so good to blow off steam! -Wanna run a 10k this weekend even though you haven't been exercising? You'll probably be unable to walk for a week because you haven't been training, but it's not our problem. -Oh you're stressed from work? Well here have a bunch of sugar, you will feel better almost right away! You might be up all night tossing and turning and will wake up starving, grumpy and thirsty but thats Future Self's issue to deal with not ours. -Do you want to wake up feeling energetic and happy tomorrow? You'd better get some extra sleep tonight. -You want to finish that 10K run this fall? It's time to start carving out some training time now even though you have a lot going on. -Listen I know mondays are stressful at work so make sure you have healthy food on hand for when you get home so we fill up on that instead of junk. Today I remind you to also make friends with your Future Self and not just your present one. Make good decisions that affect your long term well being. Ask yourself if the action Im about to take has positive or negative consequences for my new friend "Future Self".